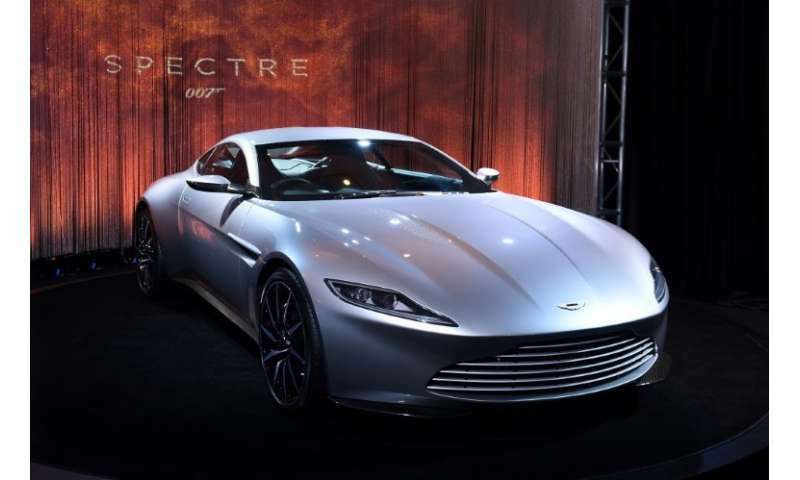 Aston Martin on Wednesday said it plans to float one quarter of the British company on the London stock market, as demand rises worldwide for the luxury brand's cars favoured by fictional spy James Bond. While Britain has a strong car manufacturing industry, the brands have fallen into foreign ownership over recent decades, with Germany's BMW buying Rolls-Royce and Mini, Volkswagen taking control of Bentley —and Jaguar-Land Rover falling into the hands of Indian giant Tata Motors. And while the UK's key car manufacturing has warned about potential Brexit fallout, Aston Martin boss Palmer on Wednesday said his company was well shielded ahead of the country's formal EU departure in March next year. "The benefit of being a luxury company is that we are relatively impervious to those kinds of changes," he told BBC radio. However, he noted that as a precaution, the group was increasing stockpiles of its engines in case of possible border delays once Britain exits the EU in March next year. Earlier this year, Palmer said Aston Martin could in the future supply engines to Formula One under the leadership of new owner Liberty. Founded in London in 1913, Aston Martin rose to fame thanks largely to its DB5 sports car, a favourite of Sean Connery, the original movie Bond. Analysts said that with a valuation of about £5.0 billion, Aston Martin would find itself at the top end of London's second tier FTSE 250 index. "It's important for potential investors to concentrate on the company's financial prospects and not to get carried away by the brand however, and that means having a thorough read of the forthcoming prospectus," Laith Khalaf, senior analyst at stockbroker Hargreaves Lansdown, said Wednesday. Ferrari has seen its share price soar since the group made its own stock market debut in Milan nearly three years ago. Also on Wednesday, Aston Martin revealed that its revenues rose eight percent in the first six months of 2018 to £445 million. The performance was driven from sales of special edition vehicles, including the Vanquish Zagato family and DB4 GT Continuation models. The average sale price of all Aston Martin models increased by eight percent to £167,000 in the reporting period. Earlier this year, a limited-edition midnight blue Vanquish owned by James Bond actor Daniel Craig's sold at auction for $468,500. Last year, Aston Martin made its first annual net profit since 2010 as it sold more than 5,000 cars. The group said it is looking to make almost 10,000 units in 2020. It currently sells almost one-third of its cars in the UK, a quarter in the rest of Europe, Middle East and Africa combined, a further quarter in the Americas and the remainder throughout the Asia Pacific region.